The ancient civilizations in Mexico shared many common traits, such as a calendar, writing system, building methods, agriculture and a particular ballgame. Although they shared these commonalities, their cultures were distinctly different. This is probably the most well-known of the Mexican ancient cultures. They dominated the area then known as Mesoamerica when the Spaniards arrived during the early 1500s. However, the civilization was young and had only been in existence for about 200 years. They were an extremely efficient military power, hence they were able to dominate the region in a very short time. Human sacrifice was what they were known for. The Aztec capital city, Tenochtitland, is said to be buried underneath Mexico City, but its main temple, Templo Mayor, has been excavated over the years and is open for visits. The Mayan area includes the states of Yucatan, Tabasco, Chiapas, Campeche, Quintana Roo and goes down into Central America. The Mayans were known for their calculations related to calendars and their mathematical abilities. They also had extensive knowledge of astronomy. There are several Mayan ruins which can be visited in Tulum, Palenque and Chichen Itza. The Zapotecs, based in Oaxaca, constructed the first urban center, Monte Alban. This was achieved around 500 BC. The site was placed on a mountaintop which had been leveled. The Zapotecs had a writing system which no-one has yet been able to decipher, astronomical observation buildings and ball courts. There are some sites to visit in Monte Alban, Yagul and Mitla. 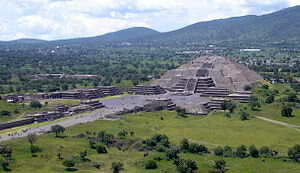 After the defeat of Teotihuacan, around 700AD, the Toltecs took control of Central Mexico, with their capital city based north of Mexico City. They were a war-mongering tribe as is evident from the statues at the sites left behind by them. Legend states that the disputes between the followers of the gods Tezcatlipoca and Quetzalcoatl eventually led to a separation and the decline of the Toltecs. The Teotihuacans were from the center of the country and their splendid Pyramids of the Moon and the Sun can be seen in Teotihuacan. Not much is known about this tribe. 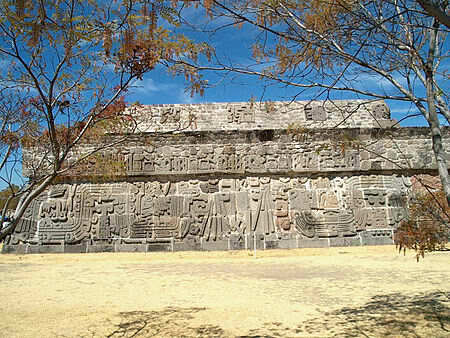 There are several archaeological sites to visit throughout Mexico and your choice is dependent upon where your interests lie. If you plan to go on a trip to visit these ancient sites, you should go well-prepared, with maps, suitable clothing and particularly good walking shoes to allow you to take a walking trip through the sites. If you intend travelling to the different sites by car, you should ensure that you obtain Mexican car insurance before you reach Mexico. You have a legal obligation to purchase Mexican auto insurance as your current insurance cover will be invalid in Mexico. It is quite a simple task to obtain this type of insurance. It can be purchased online via reputable providers or you can opt to buy it at the border. The one factor to bear in mind is that at the border the prices are much higher and the choice of cover is limited. You can purchase your Mexican insurance policy from this URL. It is recommended that you do a thorough comparison of the available policies and ensure that you are suitably covered, based on the value of your vehicle. There are two basic choices of policy, liability only or comprehensive. You should consider adding some of the additional options as well. In rural settings and small towns, you will find Mexicans to be extremely honest people and thus you easily expect genuine products upon purchase. However, the same doesn’t apply at the Mexican border point. You are better off buying your Mexican auto insurance cover online than risk being conned by shacks at the border point. I go to Mexico often. Although my Mexican insurance is comprehensive, I know I still need to buy a new policy I can use legitimately in Mexico. Since our policy fees are 44-60% less than buying from a booth at the border, you are saving money as well as getting better coverage. Use your ATM during the day and select ATM locations where there are many people around. And when driving, avoid having off-road activities. They are risky and dangerous. The use of GPS with our modern technology has a huge impact in creating life a lot easier and faster to all drivers. However, driving with GSP doesn’t exempt anyone from buying Mexican insurance. Getting a comprehensive coverage assures that you get the most number of benefits in the future. It’s worth the premium you pay. When is the best time to take culinary short courses in Mexico? Any good schools available that offer significant courses in cooking? Regardless of your purpose in going to Mexico, always secure a Mexico vehicle insurance policy to protect you from any unforeseen situations on the road. Currency conversion can be a bit of hassle, not with Mexico insurance as you can use your country’s currency to pay for it. It’s true, failing to secure Mexican insurance will lead to paying fines. Furthermore, it’s likely that you’ll be put to jail. Packing light is the best tip to consider when thinking about spending time in Mexico. And of course, if you’re driving a car, Mexican auto insurance is a must. Ignore Mexican insurance or get all the risks while traveling. It’s no joke driving without auto insurance. Having some cash is convenient when traveling. There are many places to stop by like street carts. At that time, you may want to have a quick buy of sweet delicacies in Mexico. Festivals in Mexico make travelers more excited and motivated. Different celebrations can be a lot of fun for tourists and foreigners.